Did you know Santa Claus lives in Forest City among the town’s display of a half million lights? Read on to discover the holiday events in Forest City and Rutherfordton, NC. In 1930, the Town of Forest City hung its first set of lights on two trees, and today more than 500,000 shine brilliantly every season. 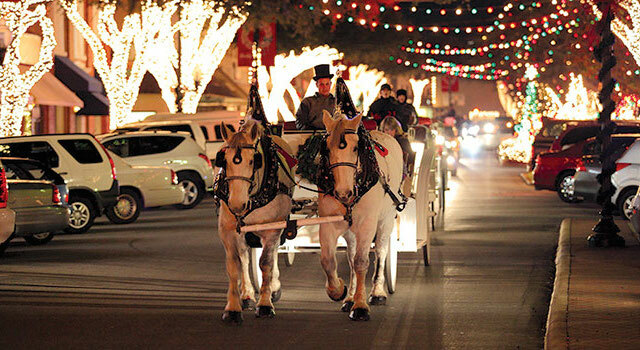 Bundle up with a cup of hot chocolate and hop on a carriage or hayride through the magical display of holiday lights. We kick off the 2018 Christmas season with our annual Tree Lighting Ceremony on Thanksgiving night! Join us on Thursday, November 22 at 6pm as we begin the ceremony! Special music provided by the local quartet, “In His Glory”. Lights will be turned on at 7pm. 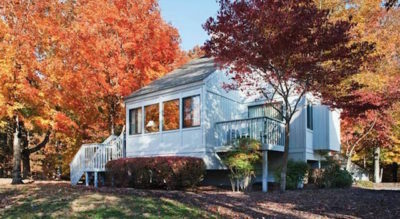 Afterward, enjoy complimentary hot chocolate and cookies at the Santa House! The ice-skating rink will be also be open! The Forest City Merchants Association (www.forestcitymerchants.net) along with the Town sponsor the annual Christmas Parade on Sunday, November 25. The parade begins at 3pm from McNair Stadium parking lot. The parade travels from McNair Drive East on Main Street to the First United Methodist Church. On Fridays in November/December ( November 30, December 7, 14, and 21) we will have hay rides, ice-skating, and Santa at the Santa House! On Saturdays in December (December 1, 8, 15, and 22) we will have carriage rides, ice-skating, and Santa at the Santa House! On Sundays in December (December 2, 9, 16, and 23) Santa Paws will be at the Santa House! Bring your furry friends to have a picture made with Santa! On Saturday, December 8, First Baptist Church will be partnering with New Bethel Independent Church to present a live nativity scene beginning at 7:00pm on the lawn of First Baptist Church, 211 West Main Street. Bring your family and friends and celebrate the Christmas season with the Town of Forest City! Lights remain on through January 2, 2019. Join us for our Annual Christmas event in downtown Rutherfordton. Mr. and Mrs. Claus will be in Main Street Park with cookies and choco and our Christmas Market will give you a perfect opportunity to shop for a unique gift. Enjoy the interactive live windows that include Santa’s Elves in their Workshop as well as our painted window displays full of holiday cheer. The party really gets started at 5:00 with the annual Christmas Parade featuring marching bands, fire engines, dancing, floats and of course Santa. Make sure you stay for the lighting of the largest Cedar Christmas tree in Western North Carolina on the courthouse lawn. Ol’ 74 Jazz will be performing both before and after the tree lighting. Come kick-off your holiday season with us on December 1. A fun filled day of fun for everyone!